PRICE DROP!Gracious colonial home w/premier Orchard St location. You'll love the expansive 3/4 of an acre parcel w/breathtaking views of the state's highest peak, Mt. 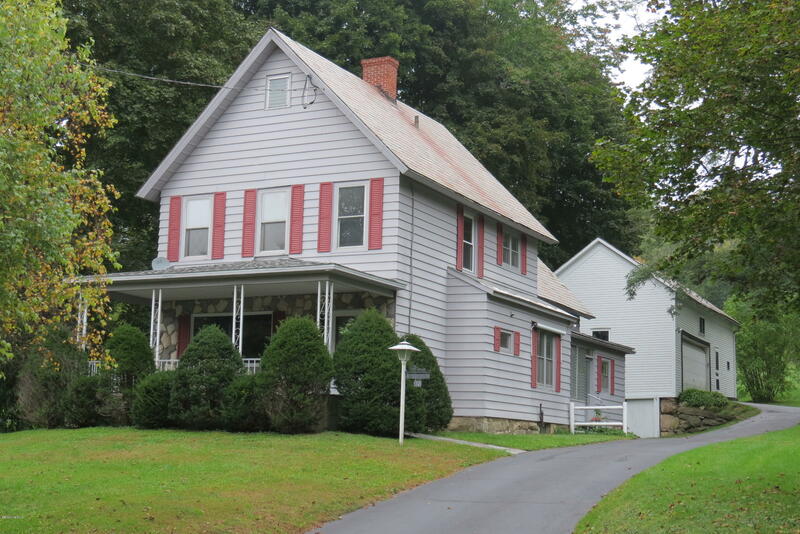 Greylock w/177' of road frontage, woods & open fields behind the property offering privacy. This 3 bedroom, 2.5 bath offers 2000+ sq ft of generous space to move about without losing the cozy New England atmosphere. Featuring an enclosed porch w/southern sunlight & back entrance w/half bath. 1st floor offers good sized kitchen w/pantry, laundry, den, large living rm w/fireplace. Enjoy the large front porch w/awe-inspiring sunsets. Upstairs master bdrm, 2nd bdrm, 3rd bdrm & full bath w/double sinks. Good closet space. Located less than 1 mile to Adams' center, 25 mins to Pitts., 50 mins to Northampton & 70 mins to Albany.